In all chaos, there is a cosmos, in all disorder a secret order. The Digital Buzz is getting louder day-by-day. More companies are jumping on the digital wagon with great vigor. The priorities within organizations have shifted towards solutions driven by the digital vision. Leadership is ever more enthusiastic about promoting their presence in the Cloud, DevOps and Fintech world. It is the age of the start-ups. A new kind of relation is slowly forming: The Start-up-Established Companies Ecosystem. There are a lot of inspiring talks being given at all seminars focusing on the new age and the new ways of working. It is indeed the age of disruption. Ever wondered how the corporate cultures of established organizations are, at this very moment? We know of the commonly addressed cultures: Hierarchy, Adhocracy, Clan, and Market. Most of the companies can be put into one of these cultures. At the point of placing companies into these known cultures, walks in the Disruptor: Mr. Digital. How does Mr. Digital fit in with these cultures? Does it slide in comfortably allowing the companies to maintain their current cultures or does it cause some friction? A report by Capgemini Consulting shows that there is a clear gap in the Leadership vision of Digital and the employees’ view on it. Only 37% of the employees feel their organization has the culture to innovate and become leaders in the Digital world, compared to 75% in the Leadership, who feel otherwise. Employees don’t see much of a change in their day to day working and communications. Senior executives, on the other hand, sense a need to push through the Digital DNA into the organization. In my view, I feel these organizations are witnessing a culture change. A new kind of culture is slowly creeping in, that is causing chaos within these established organizations. This is causing excitement in one section of the organization and confusion in the other. I would call this corporate culture as the Digital Entropy Culture. A renewed push among the Leadership to re-skill their employees. Emphasis on more proactive participation from employees. Excitement among technology focused people on bringing in new ideas. Increased communication among this group. Unclear but optimistic implementation goals of the proposed ideas. Increasing gap in understanding the vision of the organization. Rise in fear of Job security. Unclear roles within the organization. Traditional organizational structures with paddings. 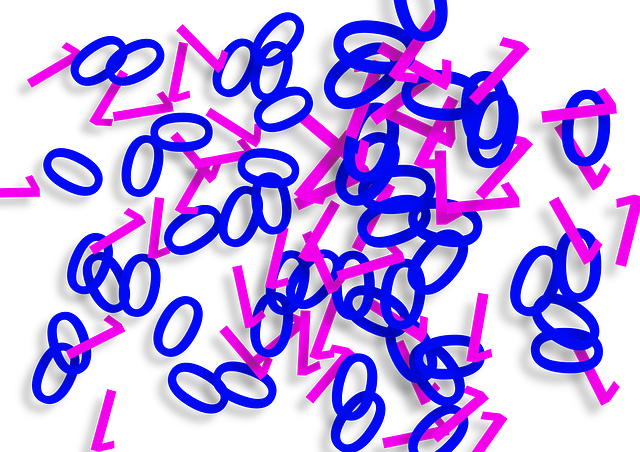 A Top Down communication model. Chaos is never a bad thing. Chaos, for me, is the beginning of creativity. And creativity leads to innovation. But, certain features definitely need attention. The leadership of such organizations needs to understand the purpose of going digital and bring clarity and order in the organization. The end result shouldn’t be more frustrated employees, leaving the organization, as they don’t know what the future holds for them. The concepts of “inclusion” and “diversity” can’t be more apt, at any other time. Everyone in the company needs to understand that a strong foundation is needed to launch into Digital. Investments and effort at all levels need to be put, to ensure that this foundation is laid correctly. After all, a house, without a strong foundation, is just one gush of wind away from falling off. Employees will need to be “listened to more” rather than just “be heard”. There needs to be a synergy between the Leadership and employees. A sense of trust and transparency would work miracles in solving the gap between the two important pieces of the organization. Experts have to be identified to ensure a common understanding of the key Digital terms and concepts. A common language is essential in setting up the right culture. Clear emphasis on bringing more people on board will be the key. Evangelists at all levels have to be identified. Change Agents, who can spark ideas and see them to completion, need to be setup. The sales and marketing people will have to ensure timely reporting in and out of all information, to help setup the Digital Culture of the organization. Identify key focus areas to reskill people. A combination of top-down and bottom-up approach is needed to ensure everyone’s view points are understood clearly. A relook into the current communication strategy is essential to enhance clear and transparent communication, to both the internal and external stakeholders of the organization. As we enter the new Digital age, we need to take a step back and assess our organizational culture, to ensure we are not so rigid that we cannot accept the Digital strand into our DNA. So, what do you feel about your corporate culture? How do you feel about going Digital in your organization? Is chaos a good factor for you? 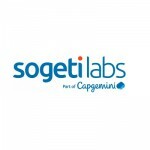 SogetiLabs gathers distinguished technology leaders from around the Sogeti world. It is an initiative explaining not how IT works, but what IT means for business.